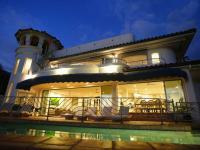 A nature-embracing town in Maui, our Lahaina luxury rentals, are located in between the Auau Channel and the mountains of the Mauna Kahalawai, perfect for those who love visiting the beach and the mountains on vacation. The whaler's village of the early 1800's was once called Lele, for merciless sun. Today, Lahaina's sun is one welcome gift when you spend time at the beaches, downtown or at the harbor. Parasailing, ecotours, whale watchingit's all possible on Lahaina so enjoy some thrill-seeking adventures. Cultural activities blend with nature here too. A visit to downtown Lahaina's Front Street includes the site of one of the world's largest Banyan trees at Banyan Tree Park. The art galleries in downtown Lahaina are worth the trip, with handcrafted items and gifts. D.T. Flemming Beach Park is in the area, a great swimming and picnic beach. When a town itself is listed on the National Register of Historic Places, it is a must-see all around. Take a romantic self-guided tour into Lahaina's past, with 62 significant sites on the Lahaina Historic Trail and make time for lunch and breaks or even a cocktail or two. 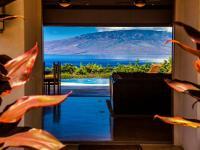 The number of spas in Lahaina is impressive, with plenty of places for the ultimate in Zen-style relaxation. Unwinding in Lahaina is easy with shave ice, French fare, fish markets, creperies and luaus, all serving dining needs at various times of day. Roy's Kahana Bar & Grill is located in Lahaina, an Asian fusion restaurant with popular favorites including macadamia nut crusted mahi mahi and chocolate souffl. Seasonal dishes by world-acclaimed Chef Roy Yamaguchi and the atmosphere that exudes a pleasant dining experience are a few reasons to visit. The art galleries of Lahaina tell the story of today's local artists and many who celebrate the island's storied past of whalers, royalty and diverse ethnicities. Beyond the art are fun gift shops and places for essentials, including surf gear, independent bookstores, jewelry, handmade cosmetics and the Whalers Village Museum. 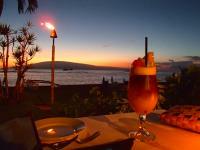 You'll also find drugstores and food markets for local and gourmet eats to enjoy at your Lahaina luxury rental.